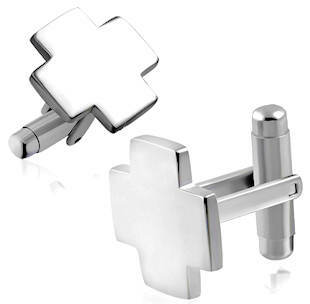 Stainless Steel Cross Cuff links silver. Engrave-able. Engraving no included.